WE CREATE PRINTS WITH A SMILE TO INNOWIN YOU . 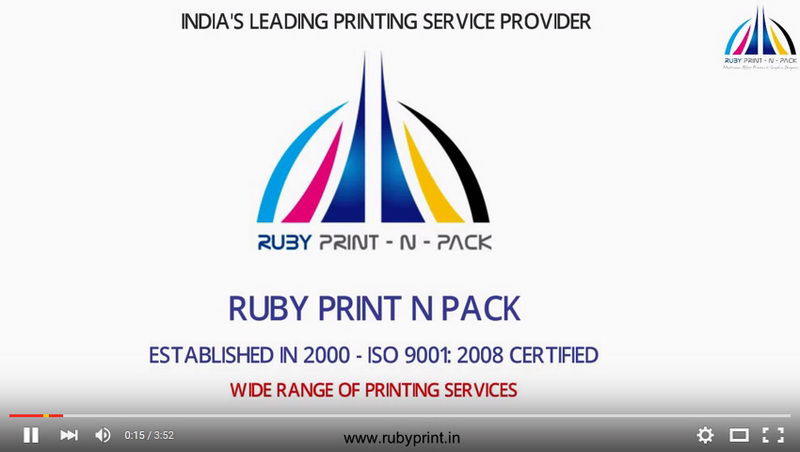 Established in 2000 and nestled in the metropolitan city of Mumbai, RUBY PRINT N PACK , an ISO 9001: 2008 certified company, takes pride in providing comprehensive print solutions with cutting edge technologies. Since the decade, we have etched prints of your success within many organizations by effectively blending innovation and quality with every product we deliver. We as a team of experts have not only offered a myriad of print solutions to clients across the nation and the globe but also helped them to find a niche in the market by developing marketing strategies. All this and much more continues to be provided with the same level of dedication. Our team of designers have a deep knowledge of the print industry and persistently strive to achieve excellence in their works. We eagerly cover every element of our client’s requirements from small scale printing to large scale color printing at high resolutions through machines that are manufactured by HEIDELBERG, an international , well acclaimed brand of Germany. With the introduction of KOMORI’S automatic machines, you could perceive better prospects with us to fulfill your needs efficiently and cost effectively. We continually upgrade ourselves with the technological advancements to ensure for the best and consistent quality of work. In addition to designing and printing, we also specialize ourselves in crafting ID cards for Schools, Colleges, Offices and Institutions. Regardless of what your requirements are, whether big or small, we would be happy to deal with your needs and serve you to our level best by providing you an the Best In-House Solution.